Visitors to the British Pig & Poultry Fair were in buoyant mood on Tuesday, with standing room only in the popular Forum programme and trade stands buzzing with producers looking to invest in their businesses. In the pig sector, producers remained in the black throughout 2017 and into 2018, with processors also enjoying profitable times, said Mick Sloyan at AHDB Pork. 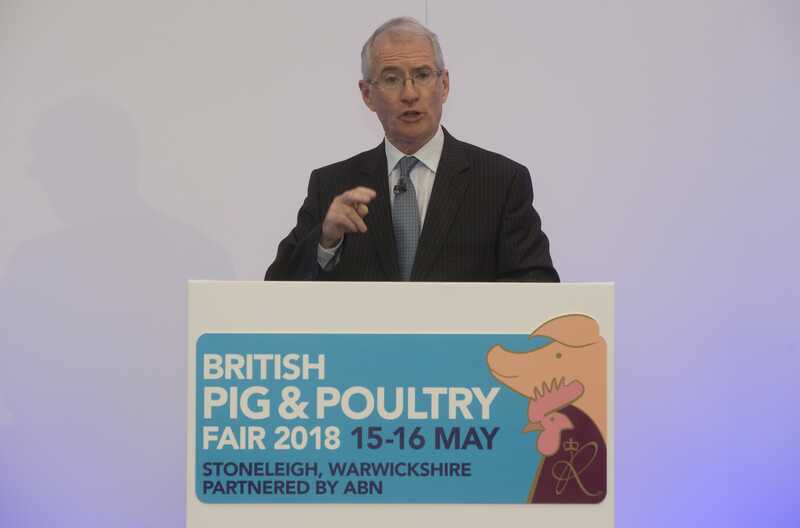 “That bodes well for the whole supply chain.” The successful marketing campaign on the healthy attributes of pork fillets and loin had boosted consumer demand, yielding a £6.43 return on every £1 spent, and AHDB has further plans for a TV campaign in September, he added. However, Government demands in the Health and Harmony Paper could leave the industry trying to do too much at one time, with too little resource. “The Government wish list is too much to be able to have it all – there will be a trade-off and we need to have a strong industry voice,” said Mr Barker.